2013. I don’t want to tempt (or limit) the fates by awarding this year any premature superlatives, but I have a suspicion that I will always look back on 2013 as a pivotal year in my life. It’s a little surreal to think that so much of what brings me daily joy and fulfillment didn’t even exist a year ago. For the past few years, I have come think of adulthood as the Life Olympics: the constant striving for balance between Career, Home, Relationships, Health, and Wellness. Founding and growing Allovue has been a thrilling and fulfilling journey, and I can’t wait to see what next year brings. Despite the popular myths about startup founders failing to sleep, eat, or do anything unrelated to business orders, I think I succeeded in striking a pretty fair balance with the other 4 realms of my life, but there’s still plenty of room for improvement. 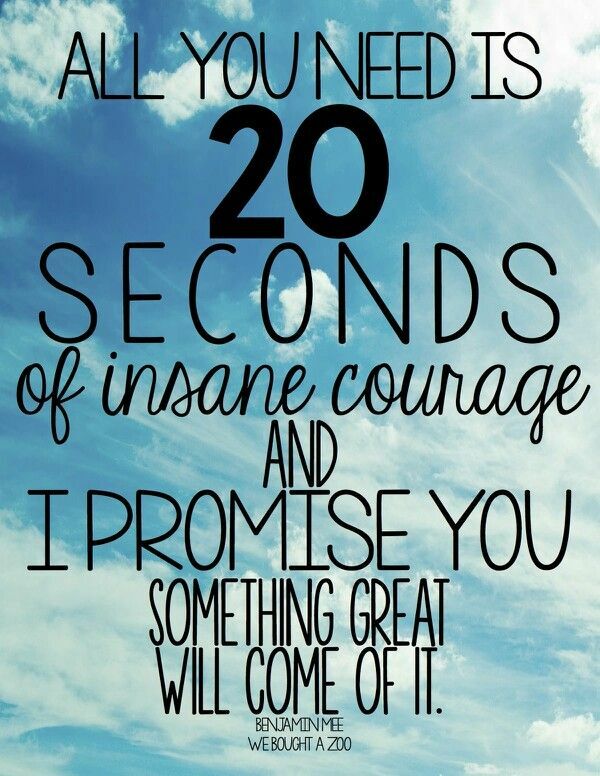 20 seconds of insane courage. Emphasis on insane. I had no plan, no funding, and no experience – just some gnawing intuition that I had to go bring this idea in my head to life, or feel the churning discontent of regret forever. So, into the abyss. I know it won’t always be this fun…But isn’t it ok to bask in the sheer exuberance of it – just for a little while? Just for today, I’ll relish in the joy that accompanies the audacity to live the very life I imagined. Just for a moment, I’ll play in that narrow intersection of pleasure and purpose, feeling infinite and electric. Speaking of matters of the heart, two weeks before I started Allovue, I decided I was tired of eating dinner alone and revamped my online dating profile for what I promised would be the last damn time. I agreed to exactly one date the day after I activated my profile. On the way there, I reminded myself (aloud) that I was officially done compromising on my non-negotiables in relationships. Maybe the universe just wanted to hear me say it out loud, because I went into Brewer’s Art that night to meet the actual man of my dreams in real life. I don’t know if there’s ever a good time to start a new relationship, but I’m pretty sure it is not two weeks before you leave your job to start a company. I’ve heard it said that you find love when you find yourself – I just wasn’t expecting it all to happen, like, immediately, all at once, very fast. As it turned out, it was a good year to start dating a doctor/lawyer. At the end of January, I found myself engaged in a class-action lawsuit after it was discovered that my doctor had been allegedly secretly photographing patients with a camera pen and subsequently committed suicide. Feeling anxious about the care I had been receiving for the past 4 years, I quickly sought a new doctor and was diagnosed with endocervical adenocarcinoma in situ – stage 0 of a fairly rare form of glandular cervical cancer. My doctor said it was usually difficult to catch this type of cancer so early, but since we did, I was able to have a minor surgery to remove the cancerous cells. 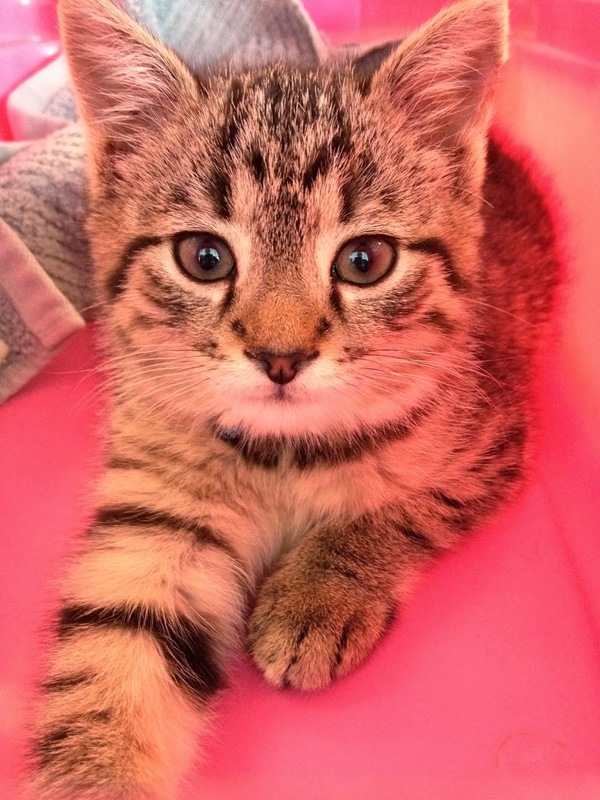 I just had my 6 month check-up, and my tests came back normal! So this whole litigation/investigation process turned out to be a bizarre, potentially life-saving blessing. Unchecked, the cancer would have very likely progressed and I would have been facing far more invasive treatment options. This made me think about all of the men and women who put off visiting a doctor for routine check-ups because they lack basic insurance. If my father hadn’t harangued me about securing private insurance before I left my job-with-benefits, a health crisis would have been a financial catastrophe, too. Even my small surgery would have cost over $10,000 without insurance. This whole ordeal gave me a deeply personal lens with which to view the Affordable Care Act debate this year. I’m thankful our country is finally making an attempt to fix what I can attest to be a very broken system. Despite attending more Bikram yoga classes this year than either of the past 2 years I’ve been practicing, I still didn’t get to as many as I had aimed for. This is an area of my life that I really to need to work on making it a permanent habit. It’s (sadly) looking like the best way to do that is to just get up at 5:30am to make the 6am class. I’ve gotten better at it, but it’s still going to take some practice to make it less of a struggle-fest in the morning. No surprises here. Personal wellness falls to the bottom of my priority list, year after year. I define personal wellness to include the things that feed my brain, creativity, and soul – probably not where I should be slacking off. This realm looks different for everyone, but for me it includes reading, writing, singing, cooking, taking pictures, and going to yoga. I fell woefully short of my book-a-week reading goal this year and abandoned my photo-a-week project in February. I did maintain my singing lessons every other week, which is a small victory, and I’ve started to carve out time for cooking delicious things on Sunday afternoons. This area definitely needs more work in 2014, and I think it needs to start with a shift in value judgment. In my gut, I know most of the inspiration for my “real” work comes from this personal creative time, but it’s so indirect and quiet that it’s easy to write-off these activities as less essential. No more! Wellness is essential. In 2012 I wrote a lot about gender politics in the tech world. One day, I stopped and took a hard look at my own life. Technology, specifically as it related to solutions for education, was clearly a big passion of mine. Why wasn’t I doing work in that field? Why wasn’t I taking a leadership role in the very area that I was lamenting a lack of female leadership? The answers were all rooted in blinding fear. I was afraid I wasn’t appropriately “certified” to do what I wanted to do. I was afraid I didn’t know how to do what I wanted to do. I was afraid of what people would think, or say. Then, I realized that none of these were particularly good reasons to not do a thing that I wanted to do. So, I decided to just muster up that 20 seconds of courage, and force myself to figure it out. I surrounded myself with smart, helpful people, and asked a LOT of questions along the way. 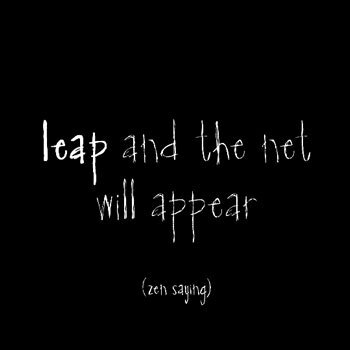 “Leap and the net will appear,” says an old Zen proverb. Sometimes, you just have to build your own net.